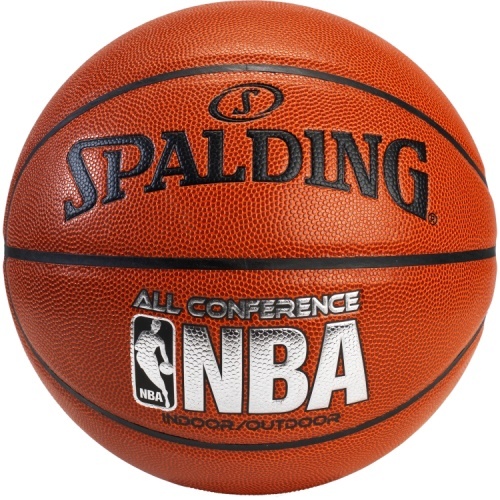 Play inside or out with the Spalding NBA All Conference Composite Basketball. Designed with quality in mind, the ball features a traditional composite PU cover for enhanced grip, bounce and better control. 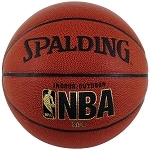 Designed for indoor or outdoor play, the Spalding? 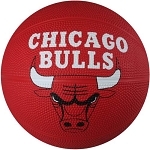 NBA? 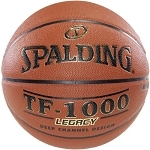 All Conference Composite Basketball is the perfect ball to bring with you on the go. 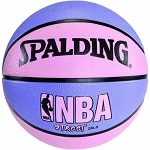 This product includes a 1-year warranty from Spalding. Size: Men's size 7, 29.5 inch circumference. Traditional composite PU cover for enhanced bounce and better control. Wide channels provide better grip. 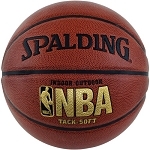 A: The warranty for this basketball is handled through the manufacturer, Spalding.